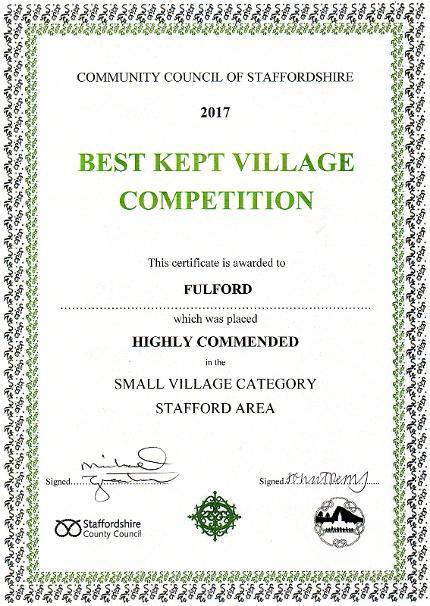 Fulford receives two unannounced visits from the Best Kept Village judges, one in May and one in June and if lucky enough to get through to the final round, another visit in July. 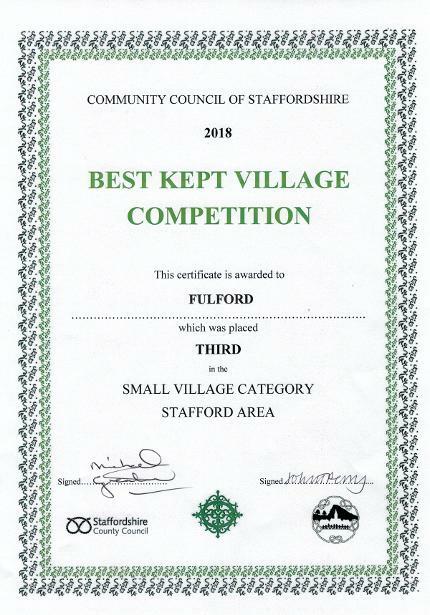 The results for 2018 were announced on Monday 6th August 2018. 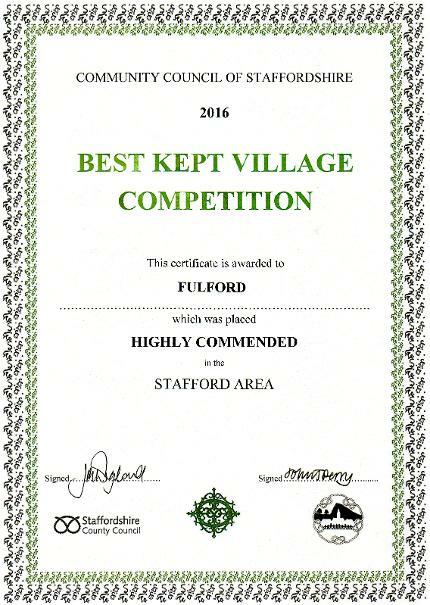 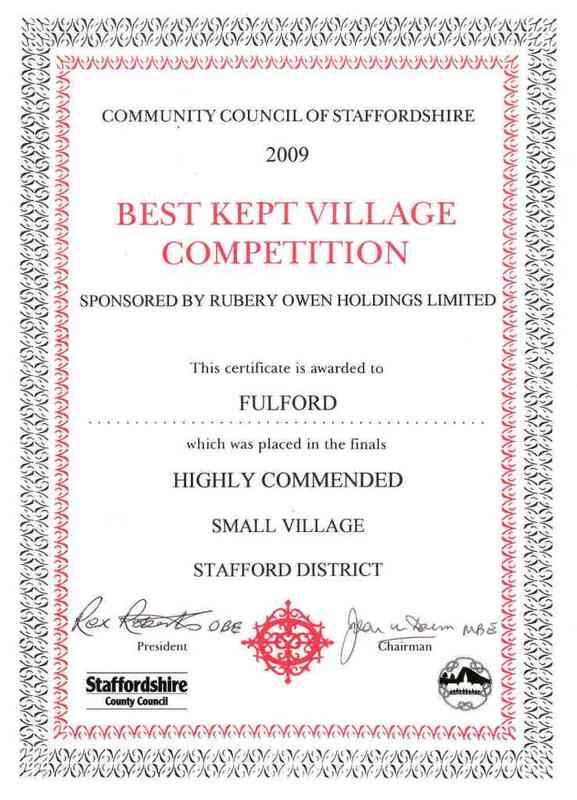 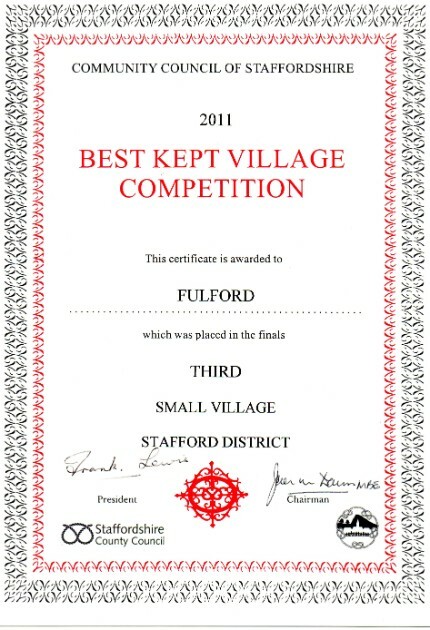 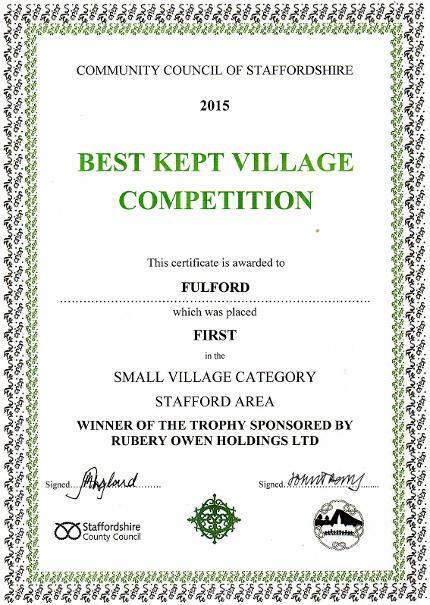 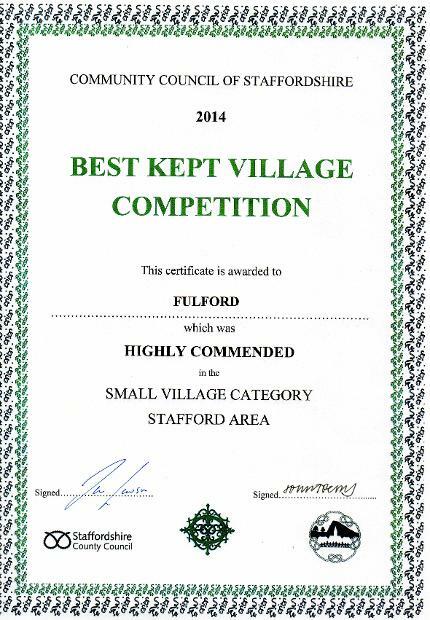 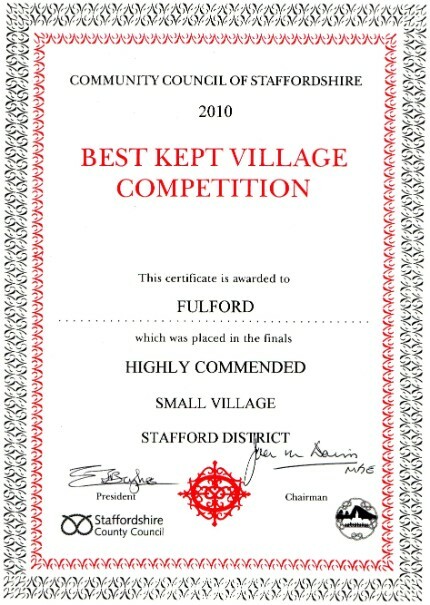 Fulford achieved 3rd place in the Stafford District. 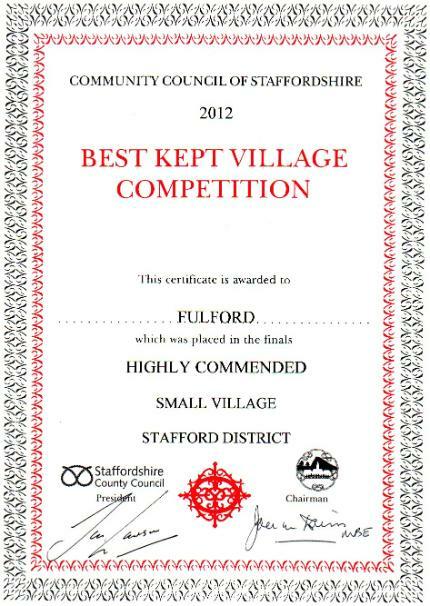 The Judges' feedback is available below.